The Department of Fundamental Education was founded in 1991. The department teaches the following requirements: Pedagogy, Classroom Management and Organization, Educational Planning and Comparative Literature. It also teaches other major requirements such as: Education and Community Development, Civic Education, Primary Education, Human Rights. In addition to, master degree requirements in The Fundamental of Education major. 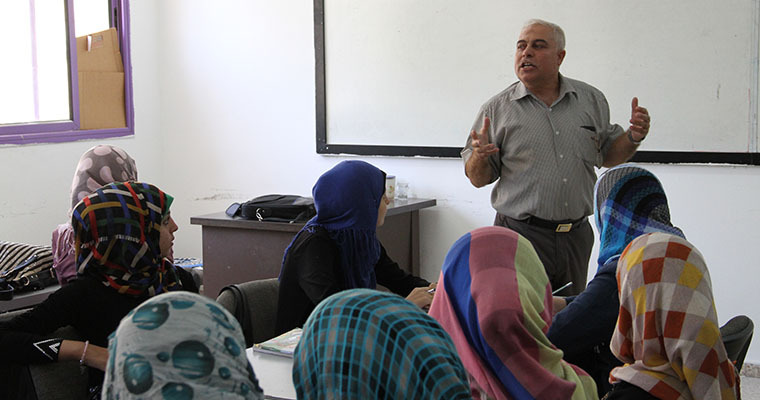 To study and develop the educational process and prepare qualified teachers. To analyze the educational system in terms of its components, trends and problems. To study the educational process and analyze its input and output elements. To plan and manage the educational process and plan and finance education and the cost of its revenue in the social and economic fields. To develop more programs in graduate studies especially master's degree programs in fields related to Educational Aspects of Administration, Planning and Economics of Education and Technical Supervision. To develop a Doctoral Program in the field of Educational Administration and Educational Planning and to work on developing the Clinic Education and Human Right plan and is now in the process of accreditation from the Ministry of Higher Education.